Johnson has been with the Ransom Center since 1974. He has cataloged a number of collections over the years, both older books and currents, and he now serves in catalog maintenance and is part of the acquisitions team. Behold this pair of Bibles. They were both owned by Andrew Fletcher (1653–1716), noted as the “Scotch patriot” in the Dictionary of National Biography. Fletcher had an interest in politics and letters but is often remembered today for his extensive library, believed to be the finest library in Scotland at that time. His distinctive signature can be seen on both images and in a Ransom Center copy of the first edition of the King James Bible (1611). 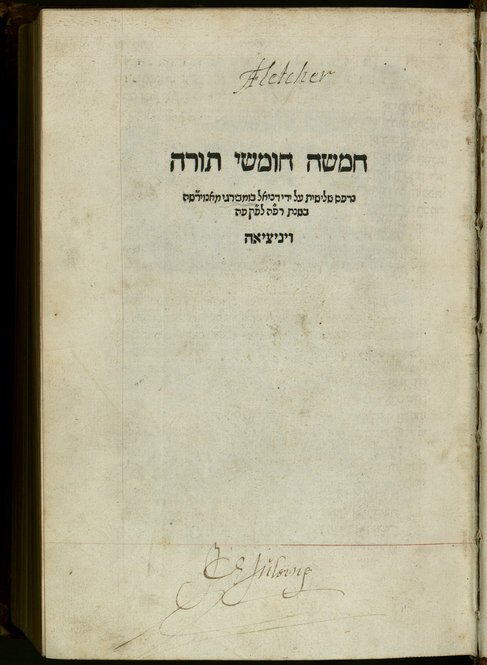 The first image is of the title page of a 1525 Hebrew Bible printed in Venice by Antwerp-born painter Daniel Bomberg. This was his third Hebrew Bible and the first to present the Masora, critical notes made on manuscripts of the Hebrew scriptures before the tenth century. 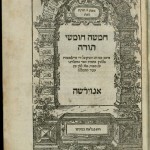 It is dated ‫ה”רפ on the title page, indicating 1525. The colophon, shown in the second image, is dated ח”רפ, but Darlow and Moule (no. 5086, Historical catalogue of the printed editions of Holy Scripture in the Library of the British and Foreign Bible Society, 1903) cite C.D. Ginsburg, who believes that the letter ח was substituted in error for the letter ה, thus changing the date from 1525 to 1528. Also shown is a second Hebrew Bible. It was printed by Christopher Plantin of Antwerp in 1566. Leon Voet’s extensive bibliography on the Plantin Press [no. 650, The Plantin Press (1555–1589): A Bibliography of the Works Printed and Published by Christopher Plantin at Antwerp and Leiden, 1980] notes that the matrices for the type used in this Bible came to Plantin from his partner, Cornelis van Bomberghen, whose uncle was Daniel Bomberg, the printer of the 1525 Hebrew Bible. So, the two Bibles have a common thread. The title page of a 1525 Hebrew Bible printed by Daniel Bomberg. 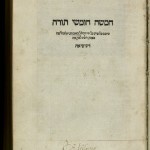 It is dated ‫ה”רפ on the title page, indicating 1525. 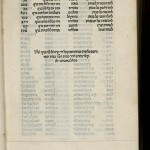 The colophon of a 1525 Hebrew Bible printed by Daniel Bomberg. 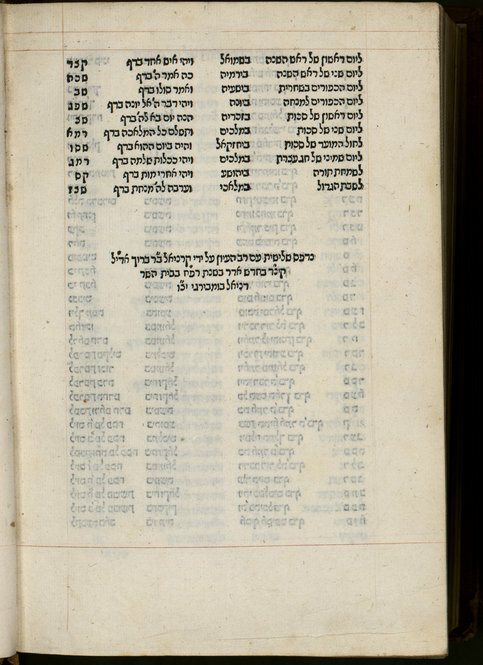 The colophon is dated ח”רפ, but it is believed that the letter ח was substituted in error for the letter ה, thus changing the date from 1525 to 1528. 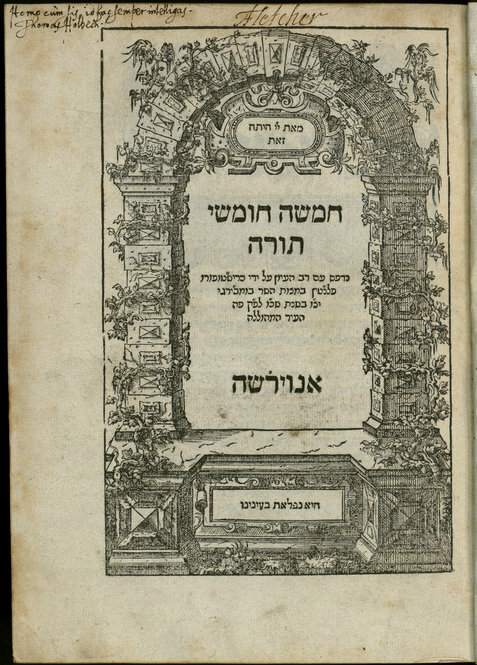 A second Hebrew Bible printed by Christopher Plantin of Antwerp in 1566. The matrices for the type used in this Bible came to Plantin from his partner, Cornelis van Bomberghen, whose uncle was Daniel Bomberg.